Thank you to Viv & Lou for providing me with product in exchange for my review. All thoughts expressed are my own. I love giving personalized gifts for Christmas. My own collection of personalized items has grown over the past couple of years, and I have to say- I love each any every item I have. Personalized gifts are a fun way to show you care for someone, and they are just adorable. These days, everything from clothing to stickers for your car can be monogrammed and personalized, and Viv & Lou has a fantastic selection of personalized gifts for everyone on your list! Shop Viv & Lou when an ordinary gift just won’t do! They combine quality, affordable personalized products and exceptional order turnaround times to create a fun and easy shopping experience for their customers. They strive for perfection because they understand the importance of quality products and excellent service! If you need a one of a kind gift, want to tell someone how special they are, or just want a new stylish personalized product for yourself, you can find it at Viv & Lou! 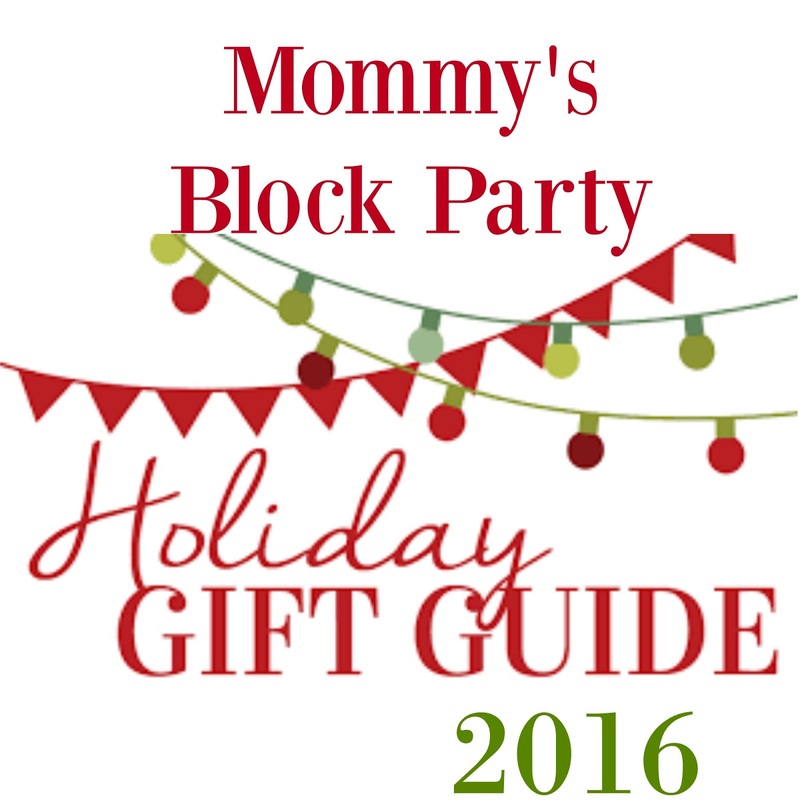 I had a blast shopping the Viv & Lou website for different holiday gift ideas. There are so many people in my family I would just love to give a personalized gift to for Christmas. One of my favorite people to shop for is my husband's aunt. She is an active mom, and lives in active wear. This year, I thought that a personalized pair of active shorts would be a great gift for her, and they have adorable options at Viv & Lou! The Emerson Paisley Shorts are perfect for active girls of all ages! Personalization and a fun print make these shorts so sweet! I love the design of these shorts! They're super lightweight and perfect to wear anytime! For college gals, they're great to wear to class on warm days, to hang in on the weekends at home. For active moms who have to do everything from getting the kids to and from school, running errands, and hitting the gym, these shorts are perfect for doing all of those things! These shorts are lined so no worried about being able to see right through them! I love the fact that these shorts are lined. So many active shorts that I have seen are virtually see-through, and they're just not appropriate for anyone to actually wear. Since these are lined, you don't have to worry about wearing coverall shorts underneath them, which would just wind up adding extra bulk. These shorts are shown in a medium, and they look great! They're the perfect present for anyone who loves cute and casual active wear! The shorts run a little small in my opinion, so if you're unsure on the sizing, I would size up just to be safe, These are snug-fitting, so you want to make sure you have enough room to move around in these. They can be personalized with a monogram in your choice of font and thread color. Whether you're going to class or the gym, these active shorts are the perfect mix of cute and comfy! These shorts feature an adjustable drawstring and elastic waistband, built in polyester briefs, and an adorable pattern on the side panels. The lightweight fabric dries quickly and is made to last! Available in adult sizes S, M, and L.
These shorts are also available in Mia Tile, which is another cute print. The shorts are currently on sale for $10.00- so get them while you can! They would make excellent holiday gifts, birthday gifts, graduation gifts, etc. 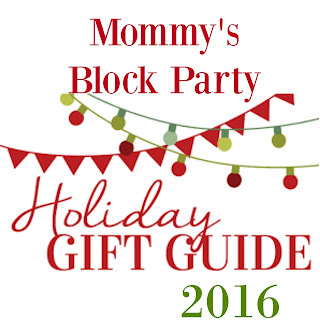 Head on over to Viv & Lou to check out all of their cute personalized products for the holidays and beyond. Connect with Viv & Lou on Facebook,Twitter, and Instagram. 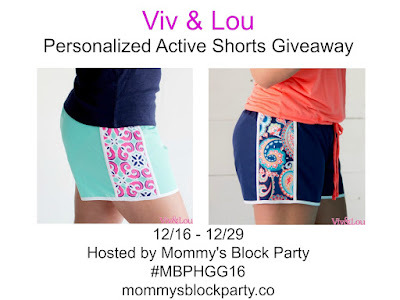 TWO lucky MBP readers will each win a pair of personalized shorts from Viv & Lou. One winner will win a pair of Emerson print and the other will win a pair of Mia Tile print shorts. Giveaway is open to US residents, 18 and older. Just use the handy RC entry form below to enter for your chance to win! MBP is not responsible for prize fulfillment. Please see our policies page for details. Special thanks to Viv & Lou for allowing me to share about these adorable shorts, and for offering this fun giveaway for our readers! Look for Viv & Lou in our 2016 Holiday Gift Guide!